Get the Nerds! That's it, grab 'em and stick them in the trash ca... HEY! Why are you grabbing me?! Wait, let me rephrase that. Let's follow the Nerds as they go on the grand adventure of running an Internet Cafe and their daily lives. Better? You can put me down now... Not in that can!. Klingers (the author) stated that this was his first attempt at creating a website in the last five years, so I was expecting something along the lines of MySpace pages, but surprise! This site actually makes sense and is well designed. The layout isn't too graphic heavy, but I did notice some lag as the comic images loaded. Not really bad overall, just a bit. Maybe the images could be optimized a little smaller for quicker load times. The site is mostly blue with white highlights and a splash of color with the character portraits. It works pretty well, but the comic itself seems to have very bright, almost neon colors in it. Adding a touch of those bright colors to the site design would complement the comic more, like maybe some colors around the buttons and tabs. The design fits the comic quite well. Tabs are used for navigation, and along with the buttons and titles appear drawn in a style similar to the comic. Wordpress is used as the publishing tool, but it doesn't look much like your average Wordpress site, which is good, it looks like a comic. I think it needs a background image or color, but aside from that it does look good. The comic is in a strip format, wide but not tall. That makes the comic navigation buttons below the comic easily seen without having to scroll. The buttons are also sized well and are pretty clear on what they do. There aren't many pages to navigate to, but the tabs at the top of the page are clean and easily used. It would be good if the description tag changed with each page, instead of always being just "Nerds and an Internet Cafe." Each page is different, so the description should also be. There isn't any clutter. There just isn't any. There are no ads, so placement can't be rated. There isn't anything that shows the artist is interested in receiving payment, in donations, sales or otherwise. It seems to truly be a labor of love. The artist must... erp, excuse me, I'm getting all choked up here. It's apparent some thought and time went into the design of the site for Wavelength. Everything is made to give focus to the comic, the main content, and it succeeds in that. It's good for those who just wish to read the comics and not be bothered with excess material. Nice 'About' page! It gives a simple description of the theme, and enough information about the cast of characters without overloading. Unfortunately it's the only additional page there is other the forums (which don't count as a page, really). I'd suggest having a page with a contact form, rather than directly linking the email address, and perhaps a FAQ page. Or art page. Or Links page. Wavelength has a forum, and there is activity there. Forums really are a nice addition to any community site, and it's good to see one here. Any comments concerning the comics or the blogs are directed to the forums, which works as a community builder. There is also Twitter and a Facebook group, placed happily under the "Annoy Us" button. A nice touch would be a button link to the discussion forum for the comic, similar to the way the blogs are linked to their own discussions. Wavelength follows the gag-a-strip format while continuing to build on the characters, so you can bounce to any one of the strips and get a chuckle. There's even a random choice if you care to do that. The site and the comic work nicely together, and I applaud the effort put into the design. It's like they say about Apple, it just works. However, there could be more added to it. It has a good feel, and the jokes don't even make you groan! Not much anyway. Most likely anyone who can relate to nerds will get a kick out of visiting, and let's face it, who reads webcomics and isn't a nerd? 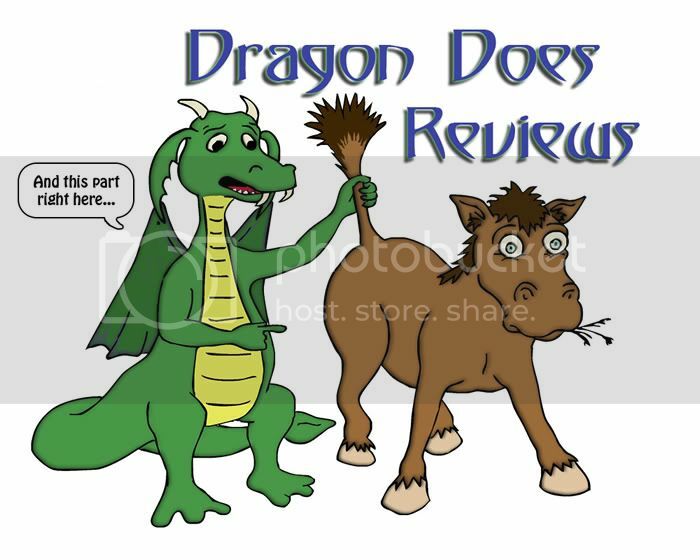 I just wanted to give you a big thanks for reviewing the site Dragon! There's some really good constructive feedback there I can take back and use to improve the site. Some of the things that didn't even occur to me such as individual titles for each page, or using a contact form instead of a straight email address are absolutely fantastic advice. Glad you liked the about page! You really nailed what I was trying to accomplish with that. I didn't want to blitzkrieg potential readers with a wall of text, but I did want to give them a good jumping-in point by getting to know each of the characters. Now that some real life stuff has been implemented and deployed and some other real life stuff has been told to, erm... metaphorically relocate and reproduce with itself, I shall have time to ponder the best way to implement some of your suggestions and get to work on it. Great review, and thanks again!